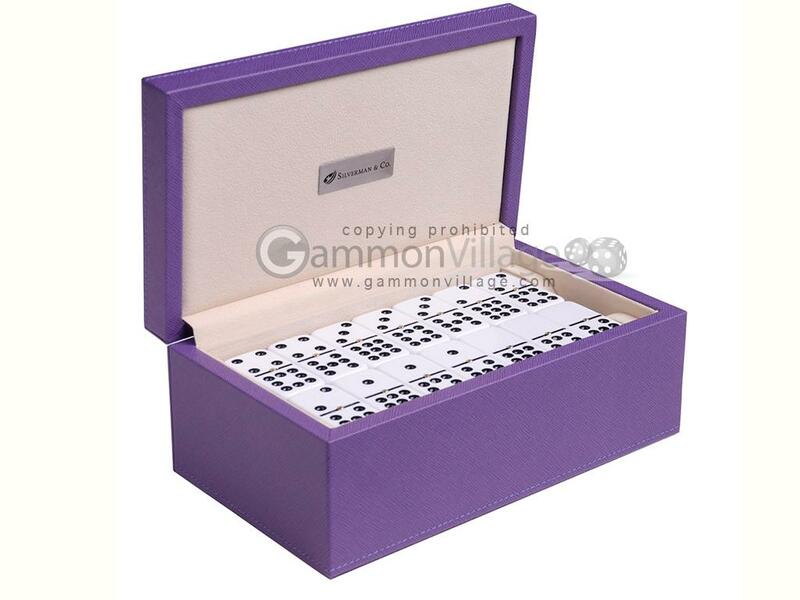 This Double 9 set of dominoes comes in a purple leatherette case, and contains 55 white dominoes with spinners. Page P4875 Copyright © 1999-2019 GammonVillage Inc., USA. All rights reserved.